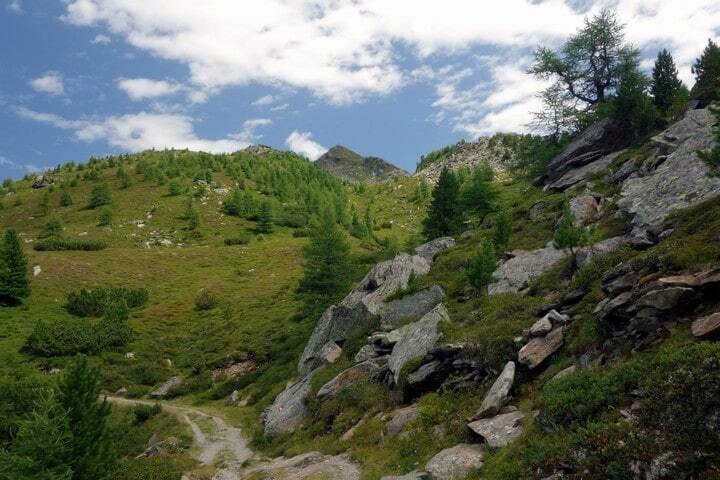 Zirbenweg is a great Austrian hike, famous for its forest of arolla pines. 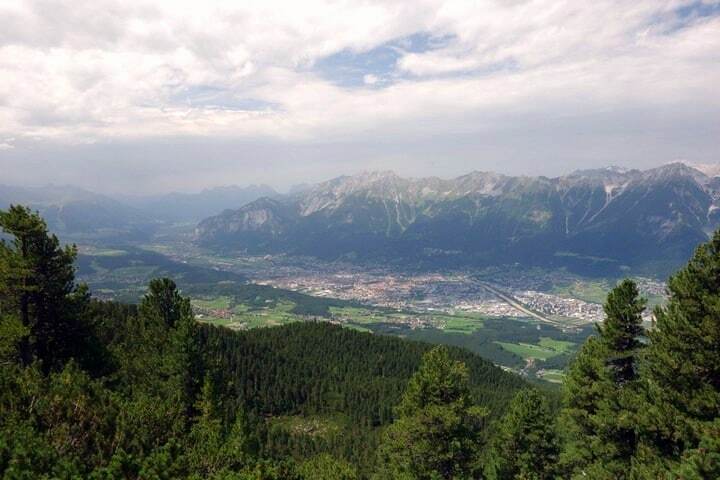 This short, family hike offers amazing panoramas of Innsbruck and the Inntal. Drive to the chairlift station Talstation Glugenzerbahn in the village of Tulfes. There is a big parking lot that is free to use. 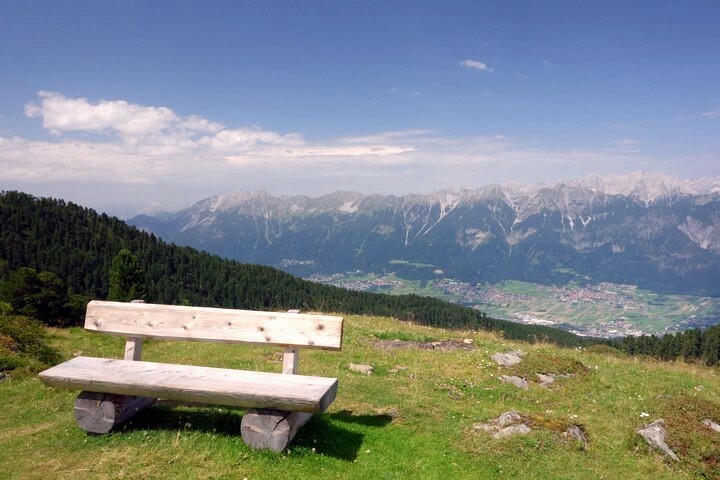 There is a special ticket you can buy that includes chairlifts, gondolas and bus back to your car. 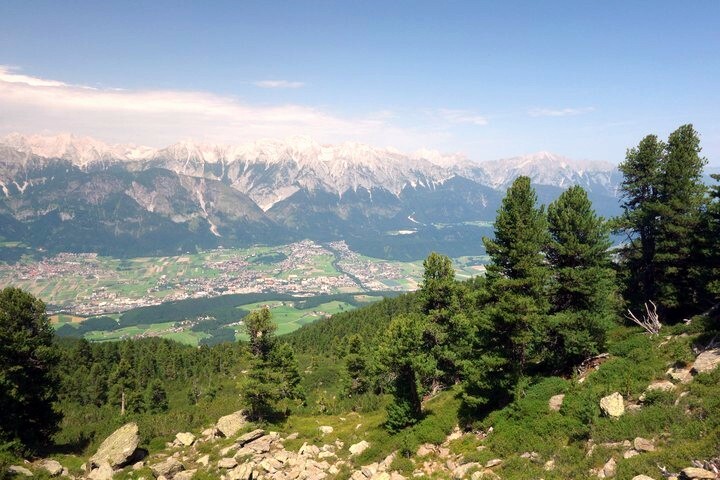 From the Glugenzerbahn chairlift station, go up the mountain via two sets of chairlifts to Tulfeinalm. Make sure you go all the way up to Tulfeinalm. You have to switch to another chairlift halfway through! 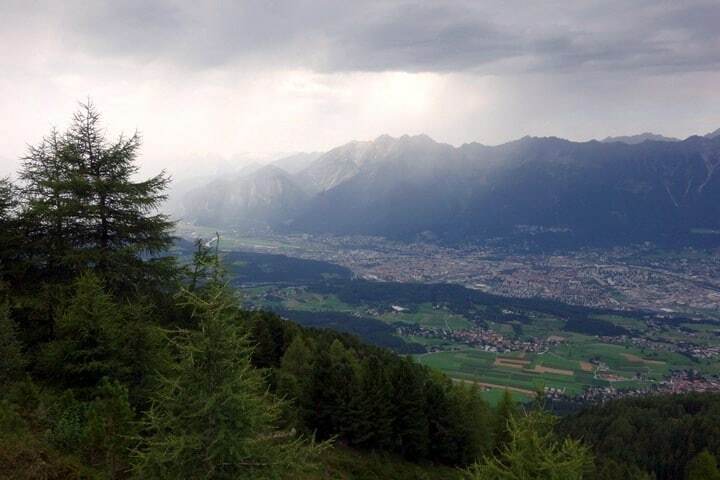 From the chairlift station at the top, follow the broad forest road along the mountain. 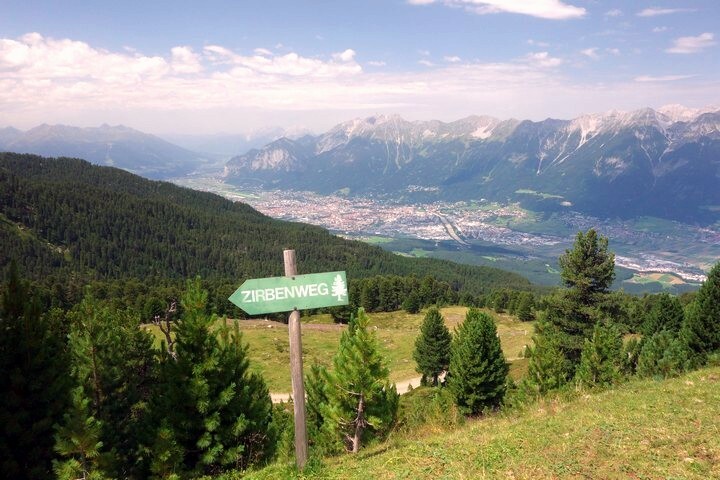 There is also a wooden sign, saying “Zirbenweg”. After five to ten minutes you will reach Tulfeinalm where you can buy some beverages and enjoy the panorama on some beach chairs. The actual trail starts as you pass under a wooden arch. 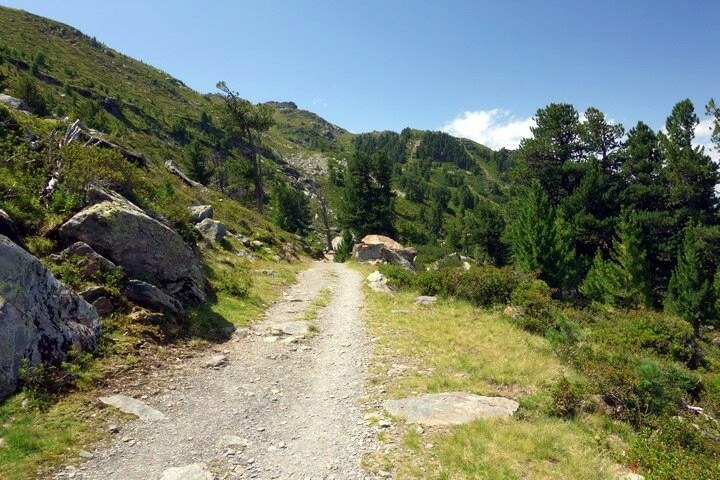 The trail will continue on the broad forest road. 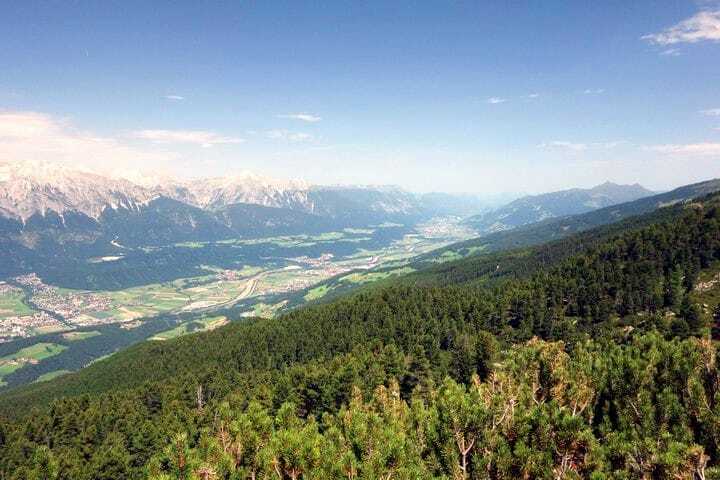 As you walk across the treeline, you’ll have an amazing panoramic view of the Inntal valley lying below and the Karwendel mountain range. There are some junctions that lead to nearby peaks, but you’ll always continue straight on the trail along the mountain crest. There is not much elevation gain. The trail is broad and easy at all times. 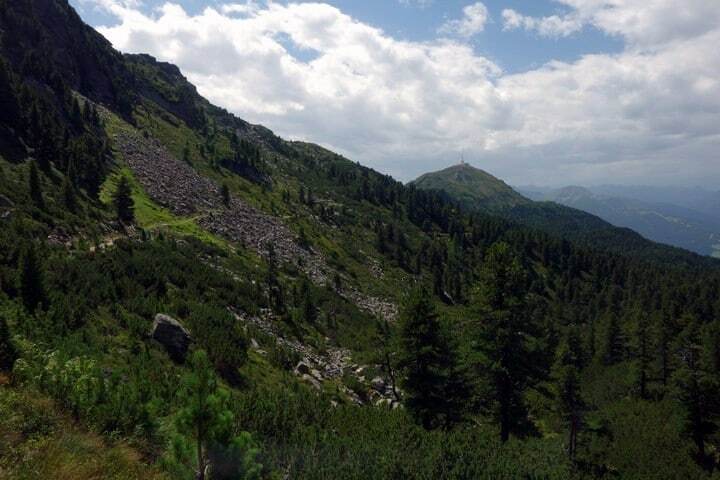 It is a very popular family hike. After approximately 1.5h you will arrive at a junction. 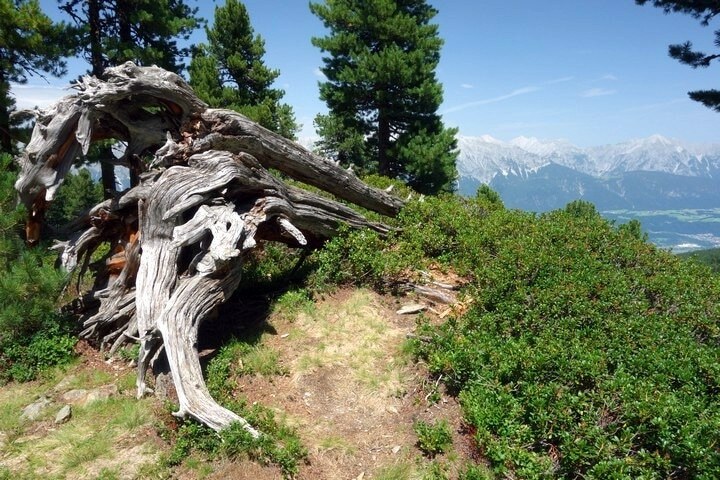 You can decide if you want to summit Patscherkofel peak or continue on the Zirbenweg. To continue on the trail, take the path going right. There are multiple signposts that show the directions. 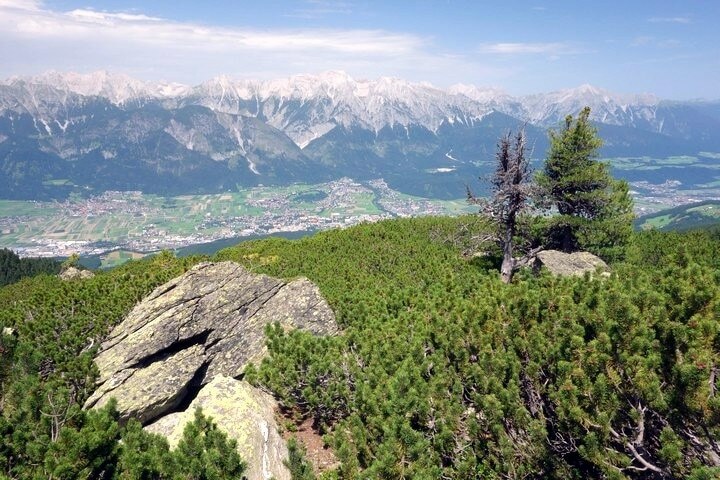 Keep in mind that you want to get to the ‘Patscherkofelhaus’ not Patscherkofel. 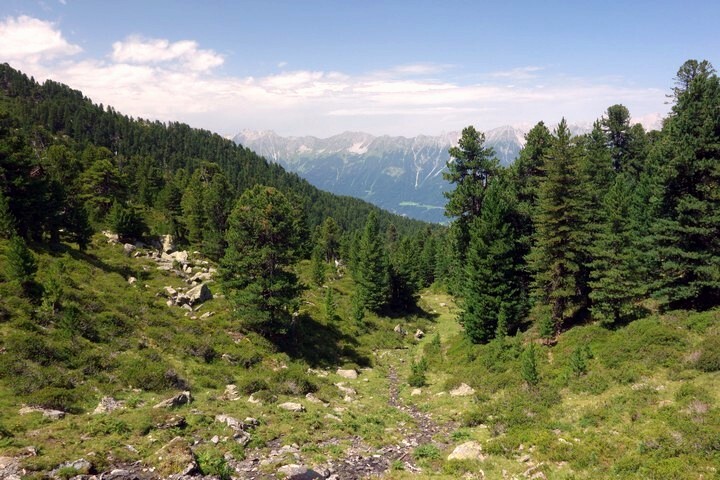 30-45 minutes later you will finish the hike at the Patscherkofelhaus. 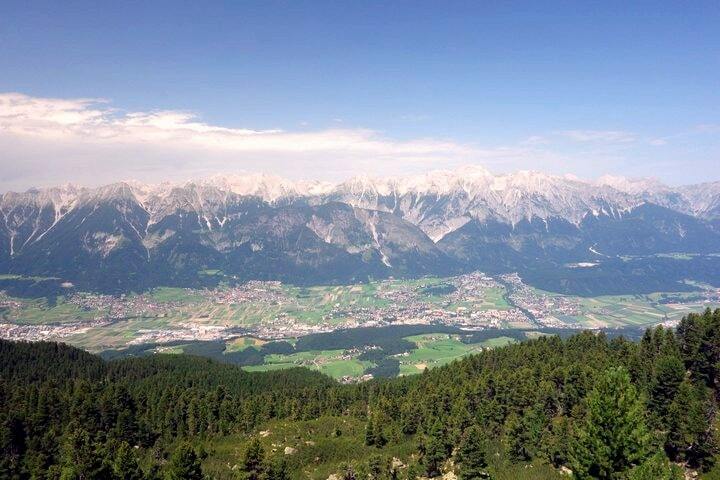 Take the cable car down to the village of Igls and go back to your car by bus. Many people retrace their steps and go back the same way they came from. In the beginning of the trail there are a couple of streams where you can get water. The water is clear, but we still recommend treating any water you come across.  The chairlift station is closed for 30 minutes at lunchtime, around noon. 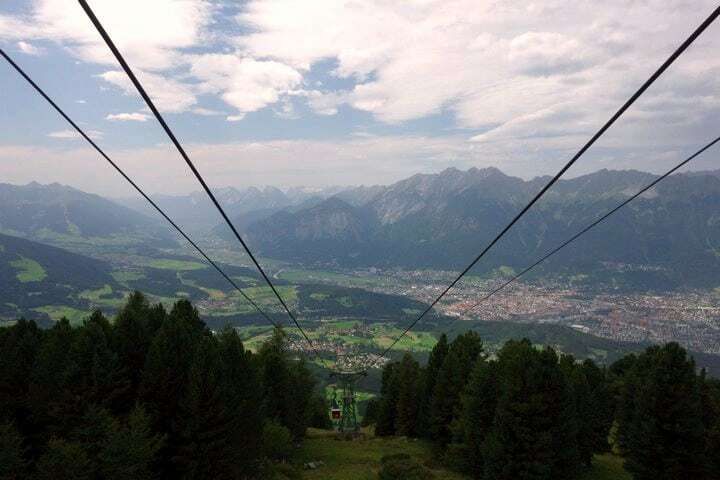 Instead of buying all the tickets for transportation separately, there is a special combination ticket for the cable car, chairlift and the bus (around 24€) that saves you some money.